This kit contains everything you need to get started building with PG20 T-Slot. This kit is ideal for learning all of the different ways to assemble T-Slot and to test out what might work for your project. 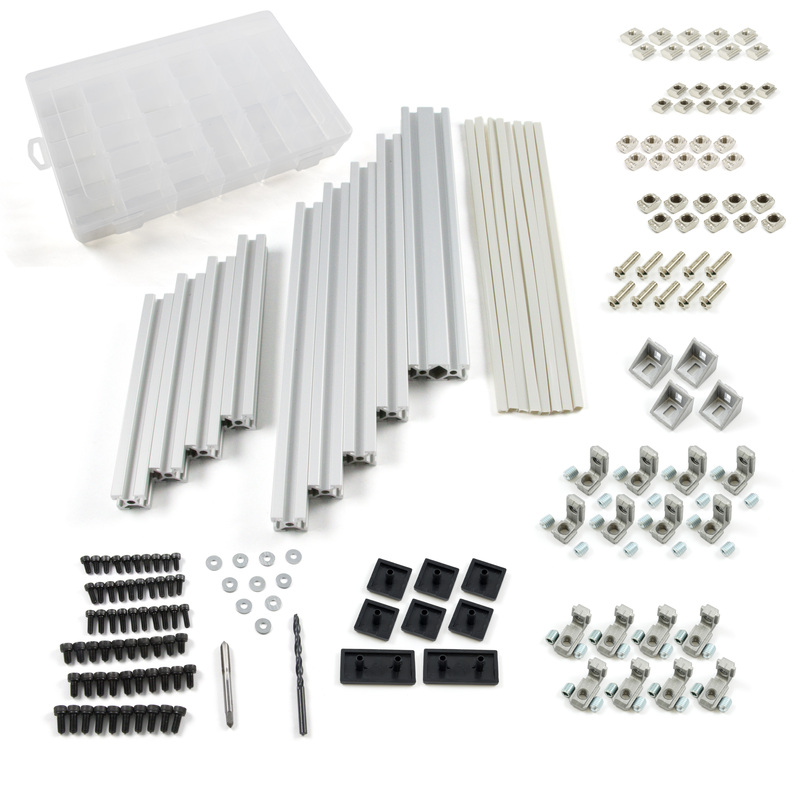 This kit includes bolts and washers, which are needed by most of the brackets and connectors in order to join the profiles together. This kit even contains a drill bit and a tapping bit, which are needed when using the screw connectors. Note: Quantities for bolts and washers may vary slightly. 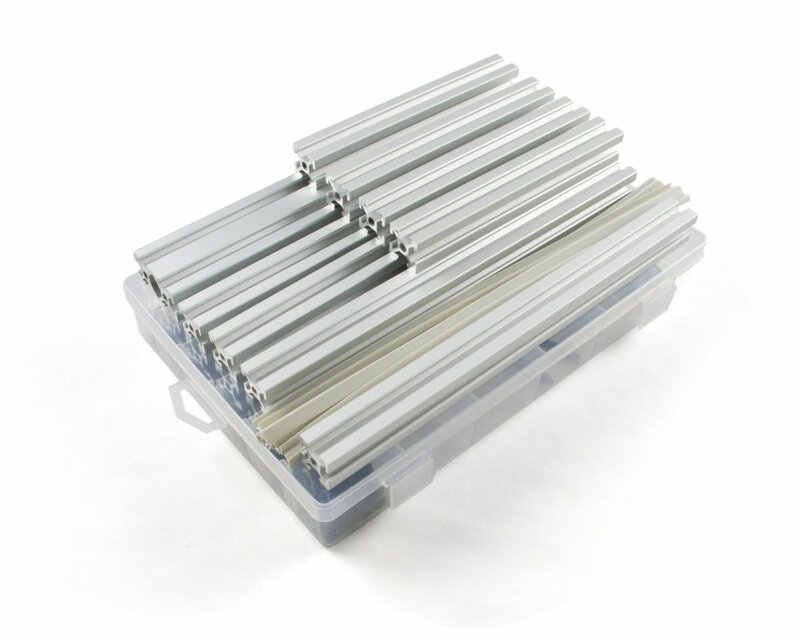 Here you can find all of the parts that can be used to cover or otherwise make use of the ends or sides of T-Slot profiles.